To get to the top in the business world means gaining an extra edge over the competition. If we're polished and self-assured, people are impressed and judge us favourably, and often it's their first judgment that sticks. Companies prefer to employ people who can effectively interact with clients and colleages; people who can conduct themselves confidently in the boardroom or the executive dining room; people above all, who have good social skills. Business Etiquette provides the strategies to achieve success by demonstrating what to do, when to do it and most importantly, how to do it. 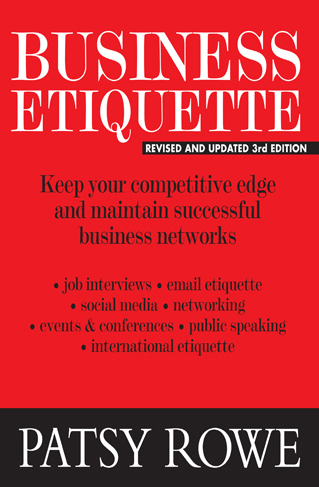 A knowledge of Business Etiquette will give you the tools you need to be the best you can be and gain the competitive edge over the competition.